One of my favorite things to do when traveling is to walk around markets. One of the more interesting market neighborhoods in Singapore is Little India, which—despite having been organized and regularized for tourist purposes—remains a bit gritty and suitably colorful. 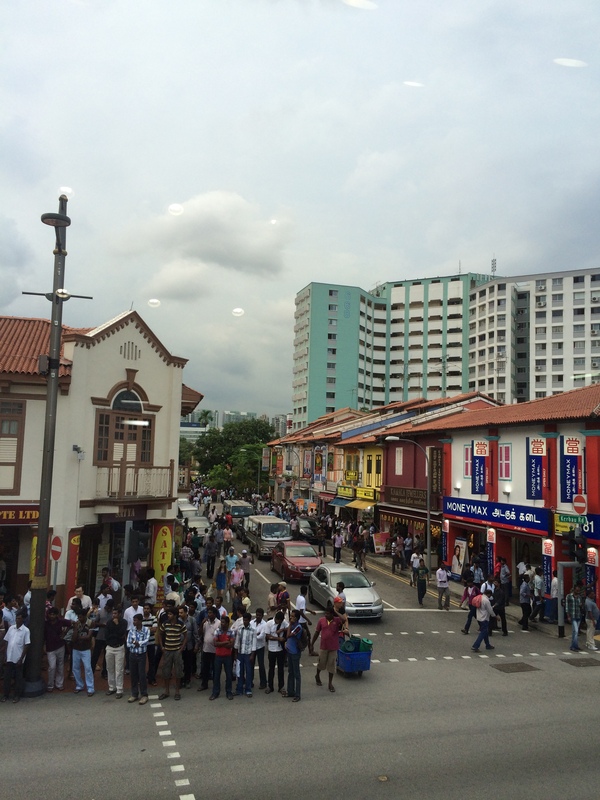 With my free afternoon this Sunday I took a stroll along Serangoon Rd, from the Little India MRT stop to Syed Alwi Road, and off and on here and there to explore some sidestreets. I did not expect the streets to be as crowded as they were. 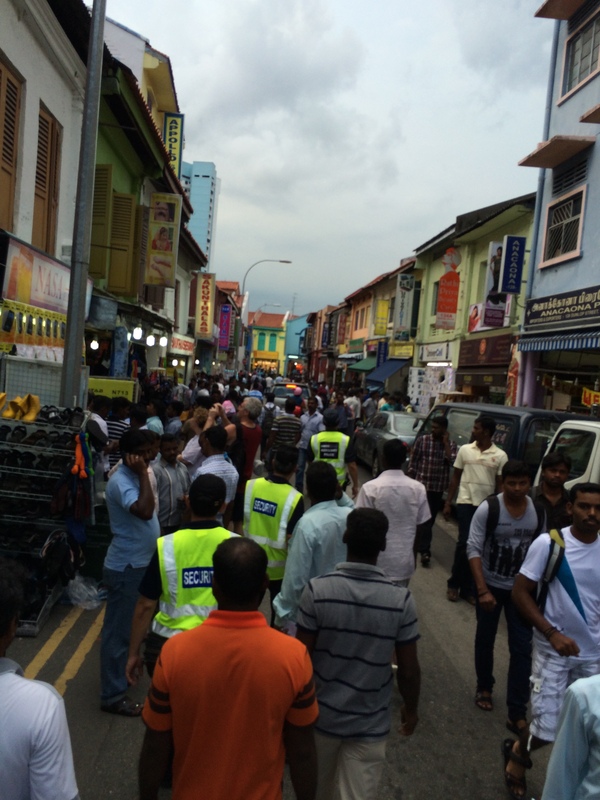 But it occurs to me now that Sunday afternoon is likely to be one of the busiest times in Singapore’s Little India, as many non-resident workers from the subcontinent have the day off. 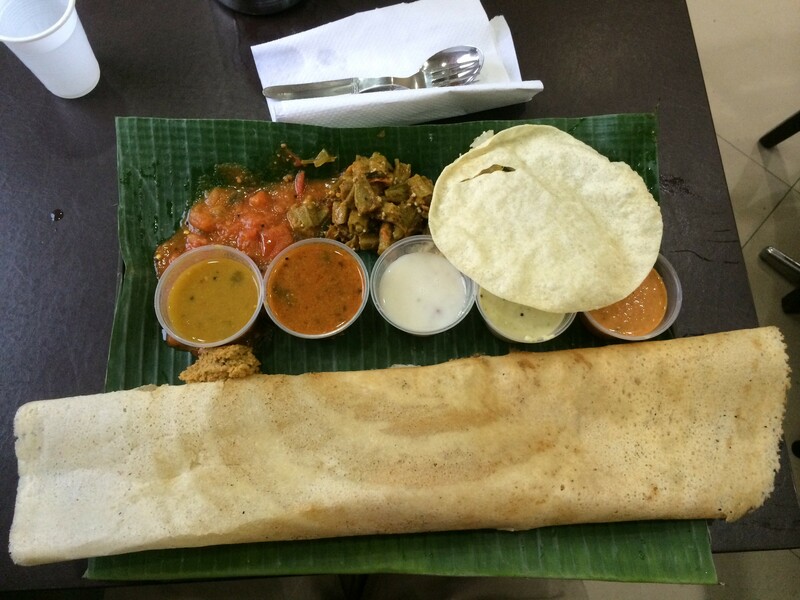 As I haven’t been in Singapore for several years, it’s been awhile since I’ve had proper South Indian food. I thus decided that I could afford two dinners this evening. 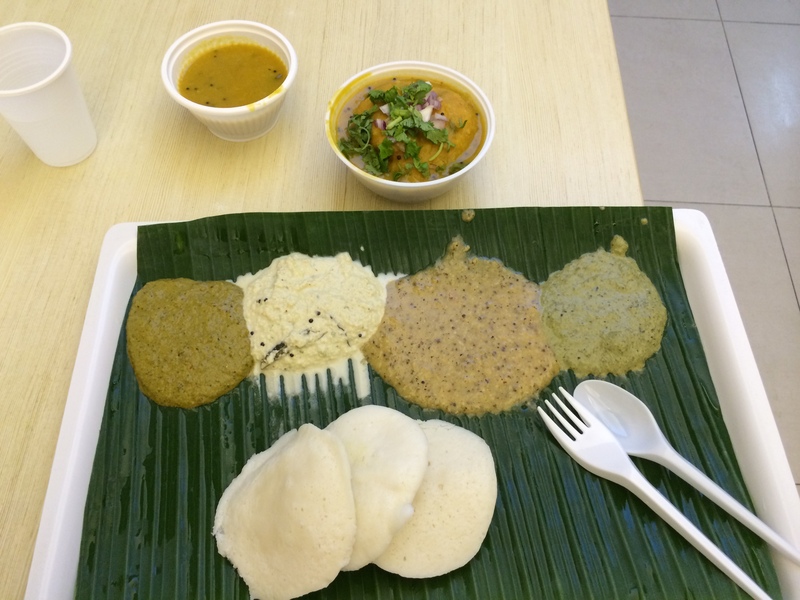 The first came at one of the local outlets of Chennai’s justifiably famous Murugan Idli Shop. Then, about an hour later, at the original outlet of Komala Vilas. If you’ve never had idli before, then it’s hard to describe them. The closest thing in flavor and texture is injera, but they have nothing to do with one another except for they are squishy and a bit sour. Sambarvadai was new to me, but it’s basically a lentil donut doused in sambar (which is basically this, pardon the name). Komala Vilas’ dosa is right in their wheelhouse, and it immediately brought back memories, although it was about 1/3 of my way through the unidentified pulses and vegetable sides that I realized that two dinners would be too much.